Solar and Distributed Generation: Utility Business Model Threat or Rate Design Problem? During the last two years, the utility industry has awoken to the role of solar and other forms of distributed generation and their impact on the utility business model. At an Indiana Utilities Regulatory Commission forum, American Electric Power said the $18 million in solar subsidies annually in Arizona were shifting grid costs to other customers with solar not paying its fair share. Also this spring, one rating agency downgraded utilities over the distributed generation threat, noting that the cost of solar and storage for residential consumers of electricity is already competitive with the price of utility grid power in Hawaii. They predicted California, New York, and Arizona would be in a similar situation in a few years with other states soon to follow. Some public service companies (PSCs) like Hawaii and New York are revamping their regulatory models. The New York PSC has proposed making utilities distribution system platform providers (the RTOs of the distribution system). 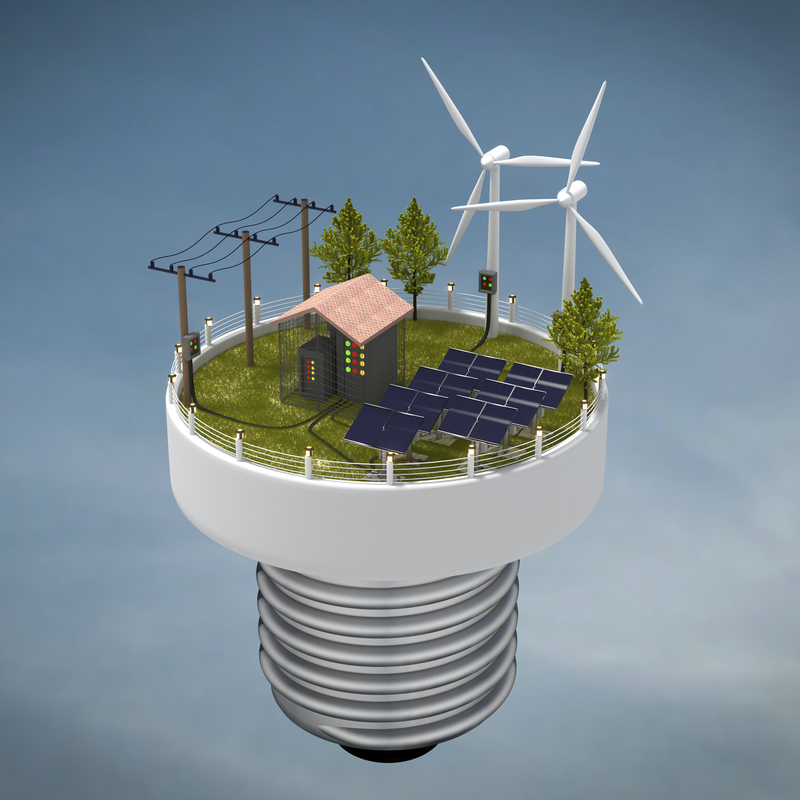 Utilities would plan and operate the distribution grid – integrating distributed energy resources and providing a market where consumers can optimize their energy generation, management, and delivery options. Not all are convinced solar is a huge game changer. An S&P spokesman said the matter was more a rate design issue (except in California and Hawaii). Similarly, a Williams Capital Group spokesman said the (utility industry) fundamentals had not changed. Steeply inverted residential rates make solar particularly cost-effective in California. A former colleague put in solar on his rooftop in Palm Springs, and it keeps him in the (uber low) first tier of SCE’s inverted residential rate structure. In Wisconsin, Madison Gas & Electric filed for a general rate case that included going to a $69/month fixed charge (from around $10 currently) by 2017 with a concomitant lowering of the variable energy charges in order to recover fixed costs up front and from all consumers including those who self-generate and don’t use much net power. Other states are looking at imposing a monthly charge on solar users to recover grid costs that they say the facilities rely on for back up. Arizona allowed a $5 monthly fee for APS this year, and a new law in Oklahoma allows for a similar type charge (SB 1456). In Utah, the PSC is considering Rocky Mountain Power’s request for a $5-$6 monthly fee with a decision expected in late August. San Antonio is also considering such a charge. In short, the solar movement appears to be driving, at a minimum, a second look at utility rate design and cost recovery mechanisms. And in some states, it’s driving a broader look at utility business models. Bill Malcolm is a 37-year energy industry veteran who has worked for Seattle City Light, Pacific Power, PG&E, ANR Pipeline (now owned by TransCanada), and MISO. He currently is a freelance energy reporter and has a column in The Cruthirds Report (a Houston energy newsletter) on RTO and PSC matters. He holds a M.A. in economics from the University of Washington and a B.A. in economics from UC Santa Cruz. He also is a columnist in the Broad Ripple Gazette and has organized a new group, Hoosiers for Passenger Rail, in an attempt to save the daily Amtrak service from Indianapolis to Chicago. This entry was posted in Electricity, Renewables and tagged Distributed generation, Distributed Resources, Public Utilities, Solar Power, Utility business model. Bookmark the permalink.